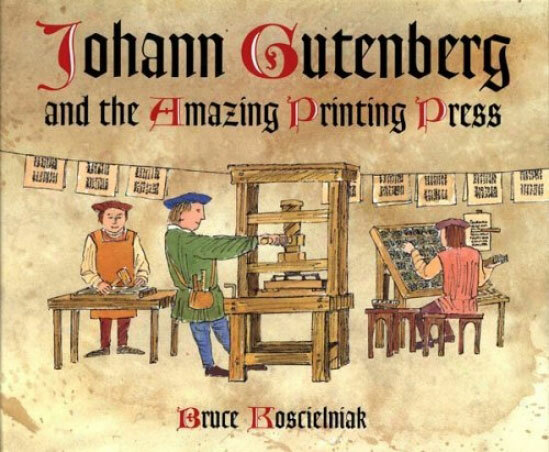 Johannes Gutenberg invented the 'Western' world's first metal moveable type printing press. Western civilization had long been using a phonetic alphabet, dating back to a Semitic alphabet around 1500 BC. It was not until 1400 AD that Europeans first began using carved wooden blocks applied with ink to print religious messages. On AUGUST 24, 1455, Gutenberg printed his masterpiece, the Gutenberg Bible, regarded as the first book of significance ever printed. 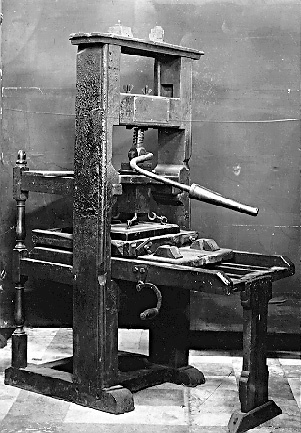 No longer copied tediously by hand and chained to pulpits, Bibles were soon mass produced. "God suffers in the multitude of souls whom His word can not reach. Religious truth is imprisoned in a small number of manuscript books which confine instead of spread the public treasure. Let us break the seal which seals up holy things and give wings to Truth in order that she may win every soul that comes into the world by her word no longer written at great expense by hands easily palsied, but multiplied like the wind by an untiring machine..."